Firm of architectural sculptors founded by William Vickers I in Birmingham, around 1883, and later continued by his sculptor sons William Vickers II (1880-1922) and James Vickers (b. 1888) in Glasgow. The firm is listed in Glasgow's POD from 1892, at 99 Grant Street. It later operated from premises at 221 West Regent Street, and later from 124 Cambridge Street, where it remained until closing down in 1940. The firm became a limited company in 1926. Born in England, William Vickers I worked as a carver and sculptor in Birmingham and worked as a Foreman Carver on Mount Stuart, Isle of Bute, for Sir Robert Rowand Anderson and the Marquis of Bute, alongside carvers employed by Farmer & Brindley and William Nicholls of London (c. 1883). Vickers married Mary White in Birmingham on 4 October 1877, and moved to Glasgow shortly afterwards as an architectural and monumental sculptor. He lived at 8 Shaftesbury Terrace, 224 West Regent Street, with his wife and five children. William Vickers II was born in Glasgow in 1880, and trained with his father, and studied at GSA under Kellock Brown . He won a Haldane Bursary in 1898, and was appointed as a teacher of design, decorative art and stone carving at the school on graduating that same year. He married Bryde Prenty on 26 August 1909 at St Columba�s Chapel, Glasgow, and lived at 109 Hill Street, Garnethill. He died on 29 January 1922, of Nephritis and Cardiac Syncope, and was survived by his wife and son, William Joseph Vickers, who was born on 25 June 1910, at 12 Montague Street, Hillhead, Glasgow. The firm specialized in ecclesiastical work. They produced statues for St Margaret's Convent of the Ursulines of Jesus, Whitehouse Loan, Grange, Edinburgh (1893); work for J J Burnet 's restoration of Arbroath Old Church (1896); the marble and alabaster work on the reredos in St Ninian's Episcopal Church, Pollokshields, Glasgow (1899) and the statues, lettering and symbols of the Agnus Dei and the Evangelists on the reredos in J J Burnet 's Barony Church, Castle Street (1900). Their most important ecclesiastical commission was for the High Altar and carver work in St Aloysius Church, Rose Street (1908-10). They also executed the Priests of St Peter's Seminary Monument at St Peter's Cemetery, Glasgow, to a Gothic design by the Dioscesan architect, Peter Paul Pugin (c. 1894). They also produced sculpture for many of Glasgow's commercial and domestic buildings. However, many examples of their work have been lost through demolition, whilst other examples remain unidentified due to the loss of the firm's records. One surviving project in which the firm was involved was the construction of Kelvingrove Art Gallery and Museum in the late 1890s, where Vickers' team of carvers worked under the supervision of Sir George Frampton on the decorative carving on the building's east and west facades from his models. Prior to commencing this work, the elder Vickers, together with the four other Glasgow sculptors chosen to decorate the building ( James Young , William Shirreffs , Archibald Macfarlane Shannan and J M Sherriff ) were taken on a tour of Paris by Frampton, to gauge the quality of work he required at Kelvingrove. The shell tympana and capitals on Copland & Lye's Bath Street extension (1896, dem. 1973); the Cherubs and Amorini on Royal Bank Chambers, 140-2 St Vincent Street (1899-1900); the Renaissance portrait medallions on 10 Lowther Terrace (1900, now Baxter House); the inscription Three Ell Corner on a tenement on Govan Road (1900, dem. ); the now decaying carver work around the dome of the McLellan Galleries, Sauchiehall Street (1903); and the grand staircase in the Mitchell Library (1907-11). As well as working on these projects, the younger William Vickers modelled the figures on the Roseberry Mace of the City of Glasgow and the Mace of University College, Dundee (both c. 1912). 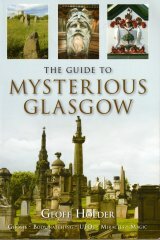 The firm's cemetery work includes several figurative monuments in St Peter's Cemetery in Glasgow. Amongst them are the monuments to Margaret Hughes, with a marble statue of the Virgin Mary standing on a globe of the world and a serpent (1914); the monument to John C. MacDonald, which includes a crucifix (1915); and others in the form of the Virgin Mary standing in a rough-hewn niche. One of Vickers' apprentices was the sculptor Loris Rey (1903-63), who was employed on the firm's production of cemetery monuments for 30 shillings a week, and who ran the firm for nine month's after William Vickers II died in 1922, on behalf of his widow. The team at glasgowsculpture.com is grateful to Michael Vickers, great grandson of the founder of William Vickers Ltd for information about his family.